CNG: The Coin Shop. Hostein, Antony, and Jerome Mairat. Roman Provincial Coinage IX, Part I: Trajan Decius to Uranius Antoninus (AD 249-254). 2 volumes. 2016. Hardbound. Website shipping rates do not apply. (RPC). (GI 145). Hostein, Antony, and Jerome Mairat. Roman Provincial Coinage IX: Trajan Decius to Uranius Antoninus (AD 249-254). 2 volumes. 2016. Hardbound in slipcase. 656 pages, 164 black & white plates and 8 black & white maps. (GI 145). 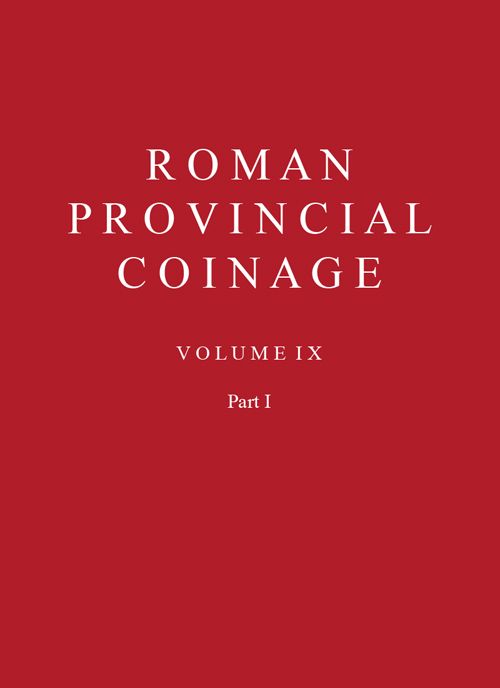 This volume presents for the first time an authoritative and systematic account of the coins minted in the Roman provinces during the period from the accession of Trajan Decius in AD 249 to the death of Uranius Antoninus in AD 254 and covers the reigns of Trajan Decius (AD 249–51), Trebonianus Gallus and Volusian (AD 251–3), Aemilian (253) and Uranius Antoninus (AD 253–4). The publication gives a complete picture of the material, thereby not only meeting the needs of numismatists but also providing an essential reference book for historians, archaeologists and other students of the Roman empire. The introductory essays and extensive catalogue section are followed by indexes and an illustration of every major issue listed. It catalogues over 15,000 coins classified into 2,330 main varieties from the world’s principal collections, including the British Museum and Bibliothèque nationale de France. These were minted at 120 cities located throughout the eastern part of the Roman Empire, from Viminacium in Serbia to Rhesaena in eastern Syria and from the Bosporan Kingdom in Crimea to Alexandria in Egypt. The catalogue includes the extensive coinages made by the cities of the Roman provinces of Asia and Phrygia-Caria and the complex coinage from Syrian Antioch.